The Alfa Romeo Owners Club is a national organization supported by 47 local chapters, with members in all 50 states, and throughout the world. 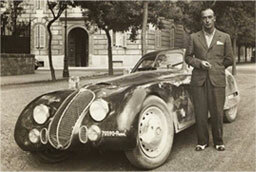 Our mission is to promote the appreciation of the many facets of Alfa Romeo ownership. Alfa Romeo Owners Club USA shared a post. Let’s LIKE and SUBSCRIBE for this talented young YouTuber for more Alfa content...he loves them as we all do, and his early works are already excellent! We all worried about whether Alfa makes and services good cars. Better drive em while you can. 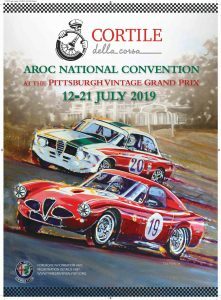 2019 AROC National Convention – Three Rivers Alfisti Chapter, Cortile della Corsa, Pittsburgh, Pennsylvania. Click here to register at the 2019 Convention website. 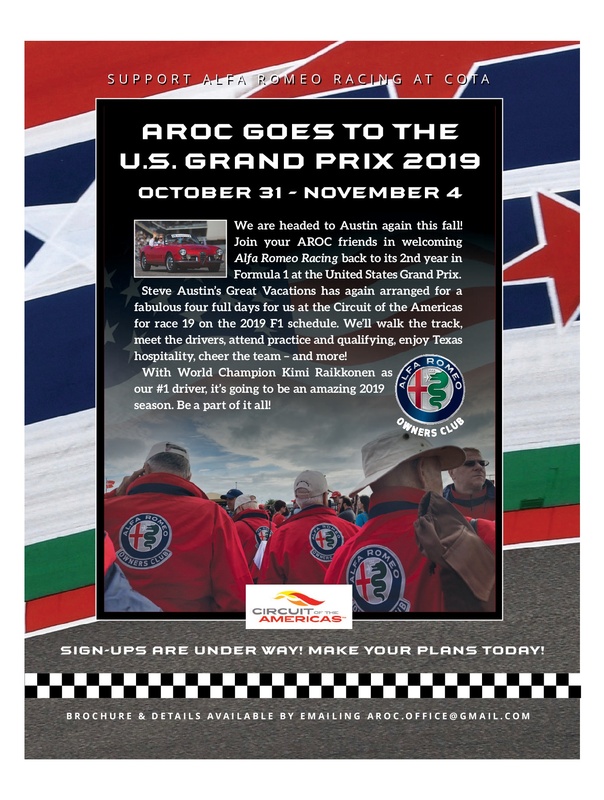 AROC Goes to Italy 2019! 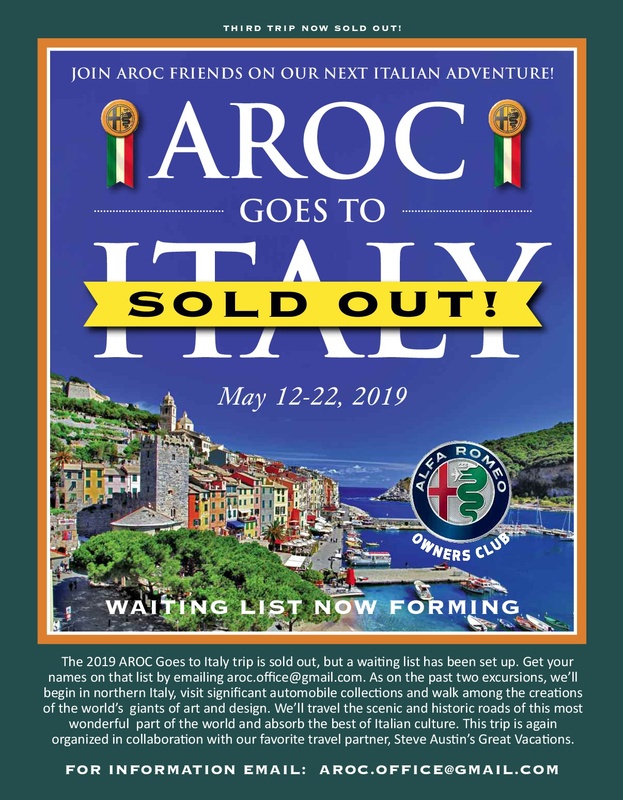 Please contact AROC Administrator Barbara Clark if you are interested in the AROC Goes to Italy tours. The May 2019 tour is fully booked, however a wait list is being compiled. We are also considering a May 2020 tour if demand is strong enough, so please let Barbara know if you're interested! These tours are hosted by AROC-USA and organized by Steve Austin's Great Vacations. The Alfa Romeo Owners Club-USA maintains an extensive collection of manuals for use by Alfa owners around the world.